Well, not exactly. I did watch Ready Player One a few weeks ago, but I had first read the novel back in 2012, so aside from the basic plot I didn’t really remember much about the book other than I liked it, and of course, because of that, I couldn’t rightly compare the book to the movie. I unknowingly watched Ready Player One on 4DX…you know, that “total theater experience” where it’s 3D, and your seats move, depending on what’s going on in the screen; where you’ll get sprayed in the face by smoke or mist, depending on the scene. I think you can even smell certain odours that the actors smell in the movie. It was my first time in a 4DX theater, and I think that Ready Player One is the perfect movie to see in this kind of cinema. In a nutshell, Ready Player One is set in the future where there exists an extremely popular worldwide RPG game called Oasis, whose creator, before dying, embedded 3 secret keys, or easter eggs for players to find. The player who finds all three keys first will inherit the Oasis. When players in the real world plug in to the Oasis, depending on the equipment they have, they can experience sensations their avatars are experiencing in Oasis; and in a 4DX cinema, the viewer can also kinda experience the same thing the players/avatars in the movie/Oasis are experiencing. Well, not quite, but it’s a whole different, fun way to watch a movie, especially one about virtual reality. It is 2044, and in a crumbling world where fossil fuels and other natural energy resources are nearly depleted, the World’s population escapes from their harsh realities by logging into the biggest online RPG / World – OASIS. It was the dawn of (a) new era, one where most of the human race now spent all of their free time inside a video game. For many of the World’s population, OASIS, wasn’t just a virtual reality they could log in and out off to escape real life – it actually was their reality. This was true for the protagonist of Ready Player One, Wade Watts, and for most of everyone born in his generation. Wade, or Parzival, as his avatar is known, was born in the late 2020s, and has never known a world without OASIS. He grew up in the OASIS – learned everything in the OASIS – to walk, talk, do maths, socialize; he even attended high school in it – the OASIS had everything he, and everyone else in the world, needed to function as normal human beings. The creator of OASIS, James Halliday, was a reclusive, anti-social, computer genius, who created classic video games throughout the 80’s and 90’s, revered with the likes of Bill Gates. When Halliday passed away in the late 2030’s, he willed his entire multibillion-dollar estate to anyone who could solve the elaborate riddle he hid inside the OASIS. Fueled by unbelievable sums of money, control of OASIS, and the chance to drastically change their lives forever, everyone, including Wade, devoted all their time logged in to find the 3 easter eggs hidden inside the OASIS. But there’s a catch. Halliday grew up in the 80’s and 90’s, and egg hunters (“gunters”) had to have extensive knowledge, not only on James Halliday’s life and obsessions, but also on 80’s pop culture in order to find clues that would help them win the contest. Suddenly, the world was obsessed with everything 80’s. Ready Player One abounds with 80’s and 90’s pop culture references – everything from movies, to tv sitcoms, Saturday morning cartoons, fashion, breakfast cereals, anime, music and music video, and of course, video games; from coin operated arcade video games, to Atari classics, and all the way up to Xbox consoles and everything after that. The novel is an homage to geekdom, written by a self-proclaimed geek, and anyone who grew up in, or remembered living through the 80’s would be hit with a strong sense of nostalgia. Ready Player One is a fairytale, disguised as a sci-fi novel. Even in a futuristic world where virtual reality is actual reality, people still retain good, old-fashioned sentiments and values about what’s right and wrong; good and evil. And even in a world where most people only knew each other and interacted online, there is still unity, cooperation and a general sense of community and working for the greater good. Part of what makes this book so irresistible is that it brings together two worlds – the future with its not-so-far-fetched technology, and the past, with everything we all knew and loved. Most readers today ( or readers who picked up this book) are between the ages where they are old enough to have lived through the 80’s and 90’s, yet young enough to still be able to live through well beyond the 2020’s; the same readers who are old enough to know what the world was like before the internet, yet young enough to be excited about the prospect of being able to log on to a virtual world like OASIS, in the future. 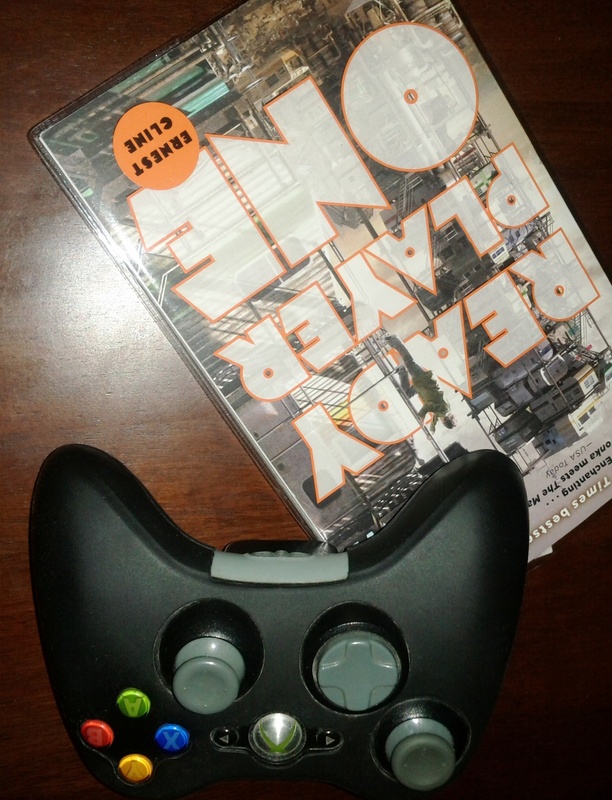 Despite times in the book where I felt like the author would rather geek out than move forward in the story, Reader Player One is a brilliantly fun read which would appeal to many readers of different generations. …as terrifying and painful as reality can be, it’s also the only place where you can find true happiness. Because reality is real.